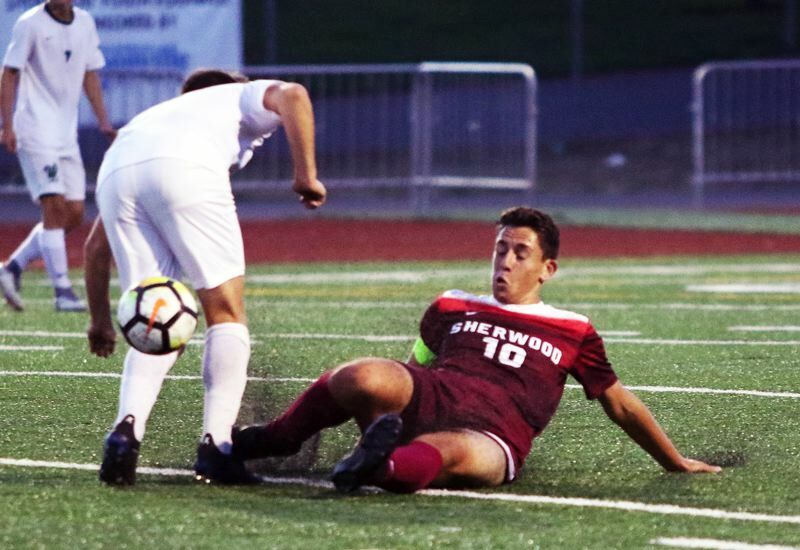 When the Sherwood and West Linn high school boys soccer teams clashed on Thursday, scoring opportunities were scarce. Open chances were almost non-existent. And, the one time the ball did find the back of the net, the offense didn't even officially get credit for it. But the Lions did end up getting credit for a hard-fought victory. 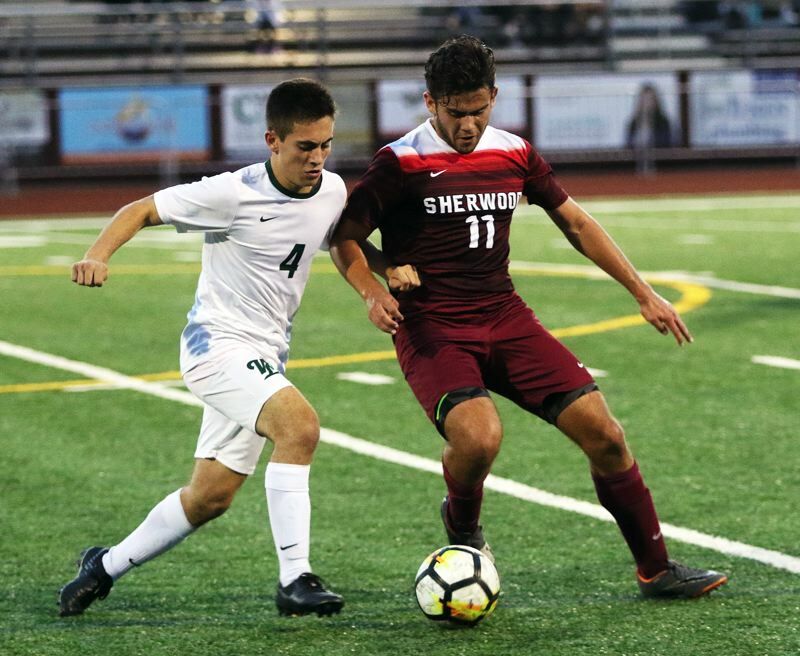 West Linn, taking advantage of a Sherwood own goal, came away with a 1-0 win over the Bowmen in a non-league match played at Sherwood High School. "I think our team put in the maximum effort that we could," Sherwood senior forward Micah Muller said after the match. "It was kind of stupid, the goal they scored, but credit to them for getting it in there, but I thought the scoreline didn't reflect entirely how we played. We gave it our all out there, especially in the defense." "I think we left it all out there," Sherwood sophomore Noah Bussanich said. "Everyone played hard and everyone played their spot. We could have made a few more better passes and a few more better decisions, but we left it all out there, and that's all that matters." With the win, West Linn improved its season record to 4-1-2. "It was very intense," said West Linn junior defender Michael Phillips, who had the free kick that led up to the game's only goal. "It wasn't our best game, we could have played a lot better than how we played. The good thing is that we came out with a win. We needed that." Sherwood moved to 2-5-1 with the setback. "For our team, it's not all about the technicality, but it's about the work rate," Muller said. "We really came out and put in the work rate." "We just have to be more smarter out there, pass a little more, and we have to get the 'dub' next time," Bussanich said. 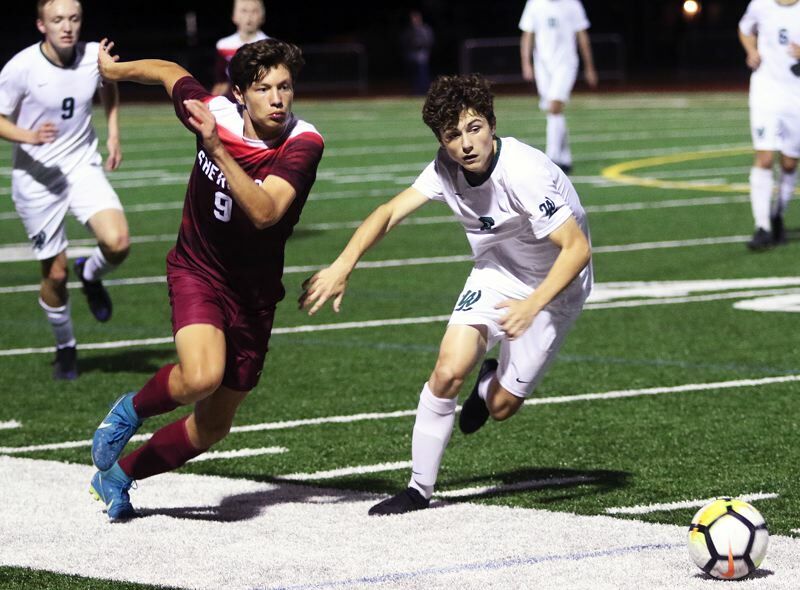 The defenses, including Phillips, sophomore Alec Sloan, senior Adam Beyer and senior Matt Kurtin for West Linn, and senior Isaac Woidyla, junior Nathan Merrill, senior Ethan Kelly and junior Ethan Pfiefer for Sherwood, controlled play in the early going of Thursday's match. Sherwood got shots on goal from senior Caden Brandt and Woidyla, while West Linn had attempts from senior Gavin Tinsley and sophomore Zach Walton in the first 20 minutes of play, but neither team could convert. But, soon after, Phillips hit a free kick toward the Bowmen goal from 40 yards away. With players from both teams battling for possession, the ball ball deflected off the head of a Sherwood player and sailed just over the reach of leaping Bowmen goalkeeper Conor Orlik and into the right side of the goal, giving the Lions a 1-0 lead with 14 minutes and 24 seconds left to play in the first half. Sherwood, trying to answer, got prime shots from sophomore Bussanich and Muller in the final two minutes of the half, but West Linn sophomore goalkeeper Caden Kesselring was able to knock those away, preserving the Lions' 1-0 halftime lead. Not much changed in the second half, as shots on goal were few and far between. West Linn got shots from Tinsley, coming with 26:03 left in the match, and from senior Garrett Wiancko, coming with 7:48 remaining. Sherwood got a long free-kick attempt from Muller, which was saved by Kesselring with 20:24 left to play. 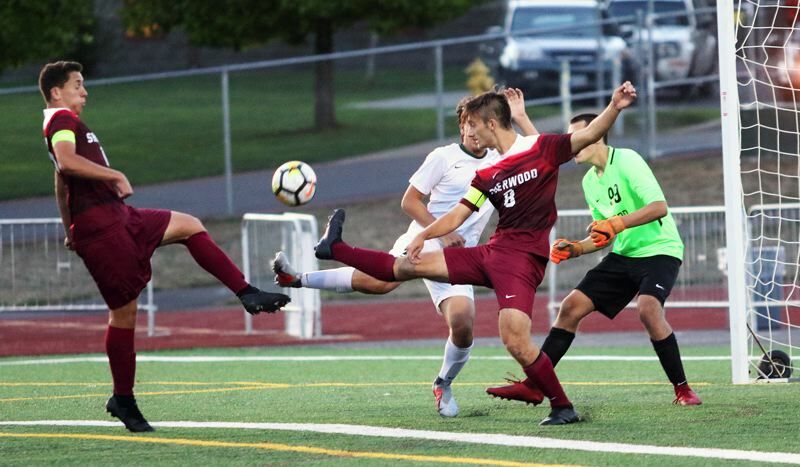 The Bowmen's final opportunity came on a running attempt by senior Caden Youngblut, coming off a free kick by Muller with 3:02 remaining, but the shot was just high and wide of the West Linn goal, leaving the Lions with a 1-0 victory. "I really think it's going to be putting our butts on the line and working every game," Muller said. "This was a really good team, so I'm not disappointed in a 1-0 score line, but it was really off of one lapse of focus, so I think we'll take away that working at 100 percent will feel better at the end of the game." For the match, West Linn had six shots on goal and seven corner kicks. Sherwood had five shots on goal and one corner kick. The Bowmen will be back in action Wednesday, when they play at Rex Putnam in a non-league game starting at 7 p.m. Sherwood will open its Pacific Conference schedule Oct. 4, when it plays at Newberg at 7 p.m.
"We've learned a lot from the teams we've faced," Bussanich said. "We need to apply that in league and give it all we got. We just want to get to the playoffs and take it from there."